Recently I was asking myself if the access to SiMPLE is secured with https. Obviosly it seem's to be not. Brings up the question:"Why?" Any ideas how to change? Ideas welcome & and of course the question to Tuia, why you didn't? Old Forum software? Lazy? That site seems like some weird agenda for how to present "HTTP/2 will make your web sites faster." 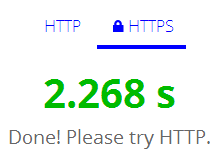 Instead they attribute it to "encryption is making your site faster", when the speed difference being shown is all due to HTTP/2 and not the encryption. 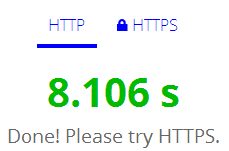 For a site named "HTTPvsHTTPS" and explicitly stating "encryption is faster", the test to prove that point would have been to use HTTP 1.1 encrypted vs unecrypted. Which would have shown just a negligible to noticeable overhead of "all the same HTTP things are occurring, but now additionally encrypted and decrypted at each end." The bottom line is still "who cares", since the reason you'll encrypt has nothing to do with whether it will make your site any faster. But with a nagging question of "but then why misrepresent the information?" why you didn't? Old Forum software? Lazy? You forgot to list "money" as a possible reason. Its not uncommon for phpBB hosting services to be giving you access to control your application, but not the underlying HTTP server. And to want to charge you per month for supplying the certificate and configuring the HTTP server to use it, as one of their value-added services. So "how many $$$ per month is reasonable just to protect already-hashed passwords" might have been weighed. Guess the results speak for themself..
Yeah i checked it out a bit more, and its seems to be special made to make regular http:// look really slow. I do use https on some sites, but the server software doesnt support spdy or http2 anyway. A ssl certificate is not that cheap either depending on where you host, ivé made certificates for my own use, but it does looks ugly everytime the browser complains about it not being safe. A newb seeing this would certainly hesitate to go further. Yeah, creating your own private CA or simply creating a self-signed certificate "gives you a certificate", but doesn't serve the purpose of providing a TLS/SSL certificate that users of your public web site would trust. The certificate has to come from a certificate authority that the web browser / operating system platforms already trust (which is the "money required" option), or you would have to convince your web site users to manually install and approve your "rogue" self-generated certificate as trusted. I think we can consider this "charity at the TLS/SSL certificate level", with the aim of making more sites able to encrypt where cost of yearly certificate renewal would have been a barrier. But it does still require control over your HTTP server in order to implement it, or at least cooperation from your hosting provider even if you don't have "full" control. But what you'll notice is missing from the list of host providers with Let's Encrypt support are those major hosting companies where "money from selling TLS/SSL certificates to those sites that need it" is part of the business plan, and part of how the hosting itself can be priced where it is. Unfortunately, they do not. You're looking at the speed improvement of a web server that implements HTTP/2, and a web browser that supports HTTP/2. Not the difference of "HTTP versus HTTPS", as the site is otherwise worded to portray. So I guess we're all doomed, eh? Oh ma gosh, this whole technically stuff drives me crazy! Personally i dont mind http AT ALL... good note of course OP. We shouldnt bother Tuia and this "a bit older" php forum to join the certificate war. This is not a bank and the people here that use this site for sharing their trade/war secrets should get hacked anyway. We shouldnt bother Tuia and this "a bit older" php forum to join the certificate war. This is not a bank and the people here that use this site for sharing their trade/war secrets should get hacked anyway. Forgive me, but kinda bold answer. Users have the right to ask the question what is happening with their data been send to SiMPLE during the log-in proccess and the difference of almost 5,9ms whilst using a secure protocol. What's happening with this data? Lost? Or maybe, what would've be the worst option - sold? If last option would be the case than that's really a break of trust and really worth leaving SiMPLE. And -forgive me- but why is a running rat answering my questions? What's happening with this data? Lost? Or maybe, what would've be the worst option - sold? If last option would be the case than that's really a break of trust and really worth leaving SiMPLE. The "secure" internet protocol (https) is good for stuff that involves creditcards and bank transfers, also perhaps if you have the habit of writing write pm to your mistress and things like that. It has no relevance in a standard forum like this. As for the loadtime aspect, your browser cashes all static things so it doesnt have to download it everytime you visit. You think I forgot who's answering me with the thoughts of what happened in the past? Totally agree... AND dont use same password for this service here (simple) as for your other accounts. What are the risks? 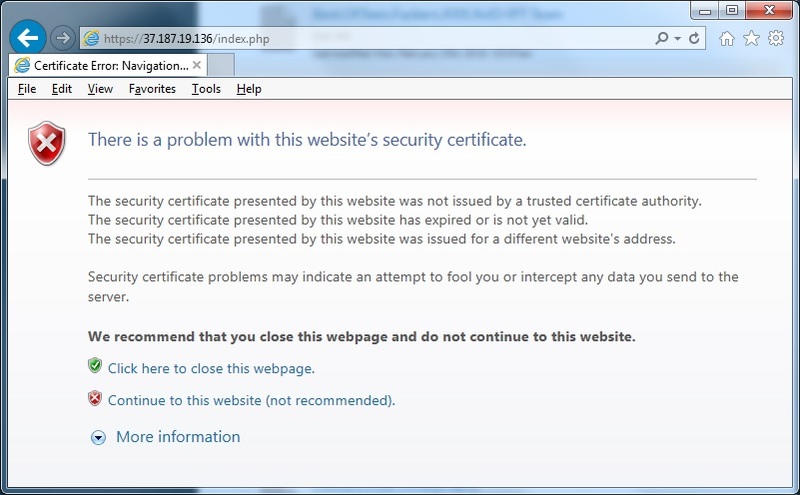 Well... without https a so called "man in the middle attack" becomes quickly more fruitful. I have to say with this service its absolutely not needed to https anything. Except maybe your password AND if anyone in the simple team thinks or feels there is a hacker after them, in that case work with caution.